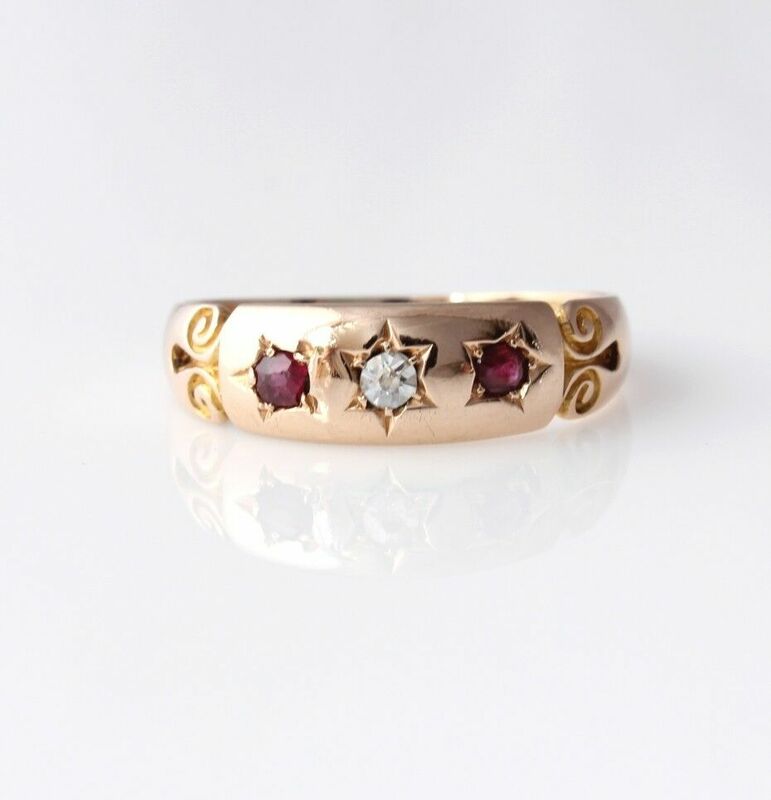 Antique Victorian 15ct Yellow Gold, Diamond & Garnet Gypsy Ring. 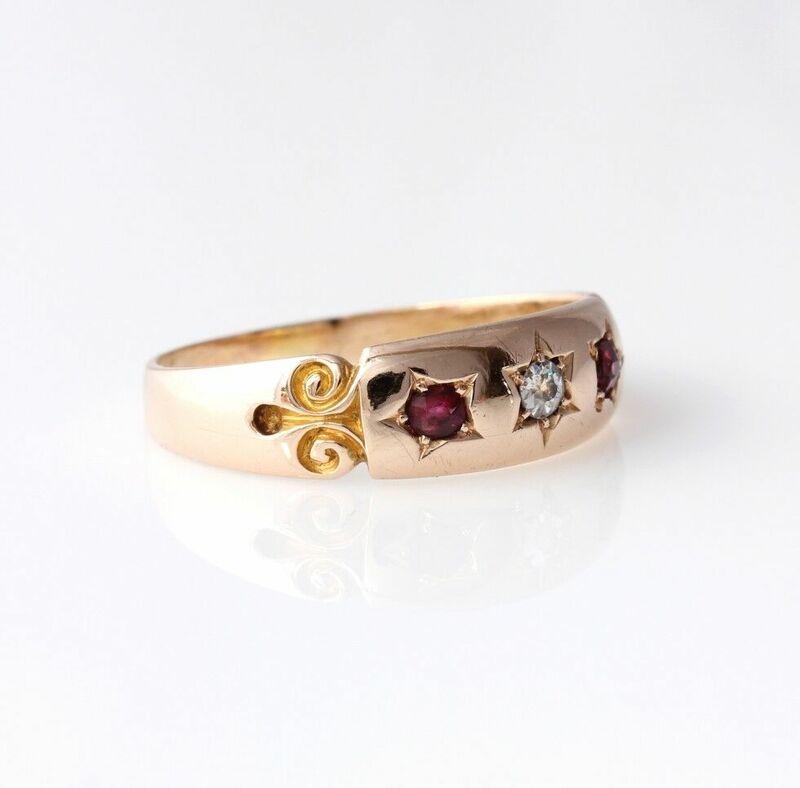 Size N.
This beautiful Victorian Gypsy ring is crafted in 15ct gold and is set with a central diamond with a garnet on either side. 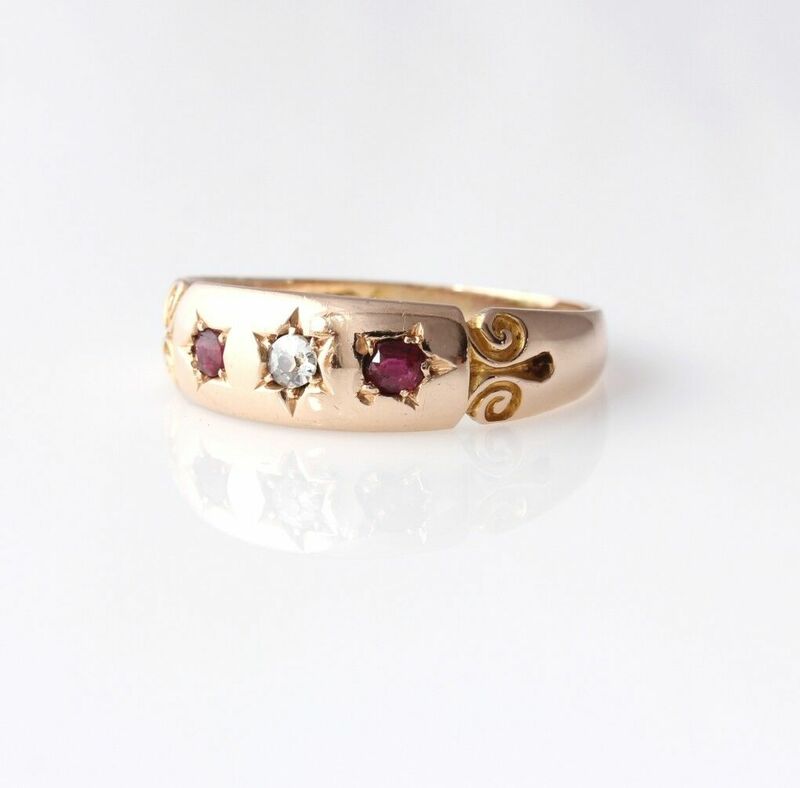 The ring which has a pretty swirl and star design is hallmarked for 15ct gold. 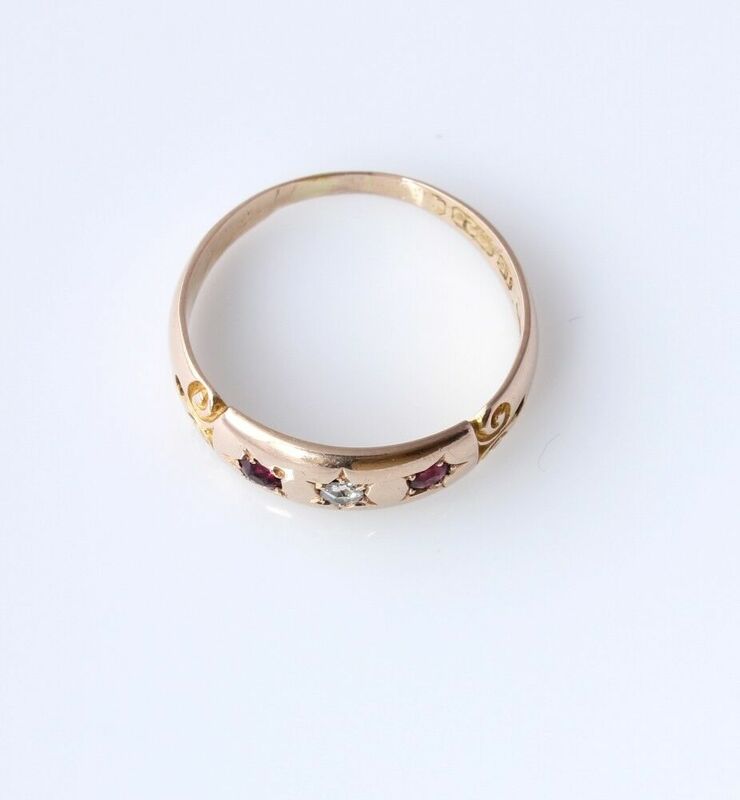 Materials: 15ct yellow gold. 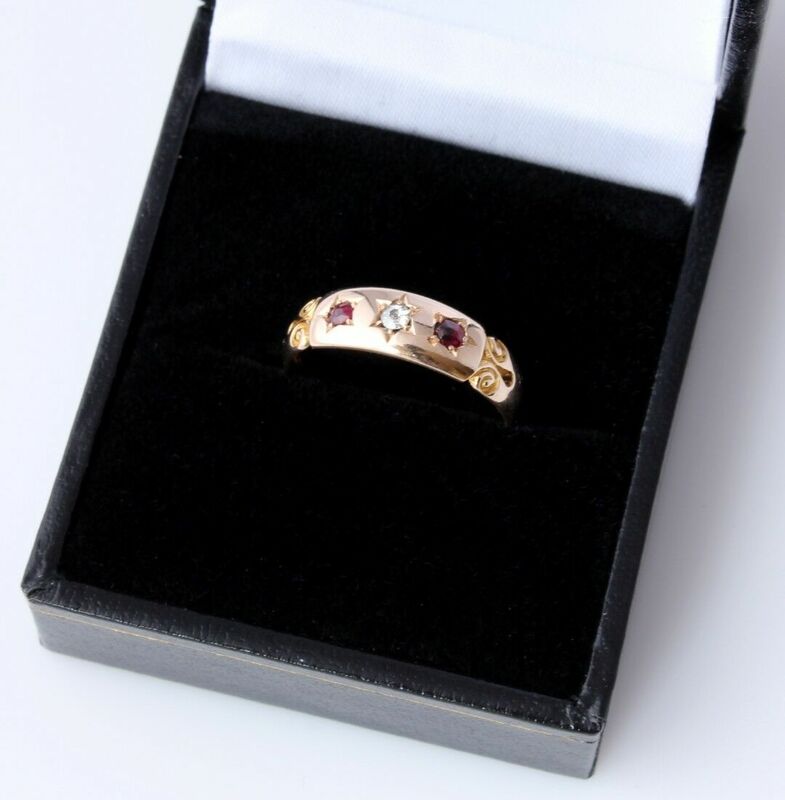 1 x diamond of approx 0.05 ct and 2 x garnets. Hallmarked: for 15 carat gold. Excellent antique condition with only very light signs of use in keeping with age. Part of the hallmark is worn/rubbed. Signs that the ring may have been resized. Professionally cleaned and ready to enjoy. Please see pictures. Comes in a ring box.